while watching friends on DVD and looking through the latest Avon book, I realised the Avon has some pretty good products! I've used Avon for a good few years now and brought countless items from them as for me, they are great quality products an some at really low prices! I realised that I actually do own quite a few items from Avon so I thought id do a quick post on my favourites. I was going to show my top 5 favourites but as I was picking them out I picked one too many and now I have 6, and even one of those products comes in two colours so ill show those as well! My top 6 products aren't just makeup but are body lotions, makeup brushes and makeup which I've used and then re-brought or that I would recommend to other people! This is my absolute favourite moisturiser at the minute! When it first got delivered I was shocked at how much was in there, 400ml! It smells amazing but that's just my own personal taste, the flavours are almond and cocoa butter and for me, that's the best combination! When it first started using it, I loved it straight away, it settles into your skin so nice and feels so soft and moisturising. I've been using mine after my showing in the morning and then before I go to bed. After about a week I really started feeling a difference and my skin feels s good and it lasts ages! I've had mine for about 6-8 weeks now and I've almost finished! definitely worth a buy! Cheap as chips at only £3.99! When I brought this I realised I wasn't actually sure if I was going to use it and what I was going to use it for! So then after about a week of wondering how to wear it, the sun started to come out and I started to use it, and honestly.. I love it! It gives such a good feeling to your body! The bottle says satin sheer dual oil spray and I believe it! A little bit goes a long way with this bottle! even though I really do like this product I don't think ill buy another bottle just because its not something I an wear everyday as a moisturiser but I would recommend it if your going on holiday or sunning it up with friends! Ok so this is in the ColorTrend range of the book which is the slightly cheaper option but I thought id try it anyway because I love a good bargain! When I first got this out of the box I instantly loved the colour and the name! 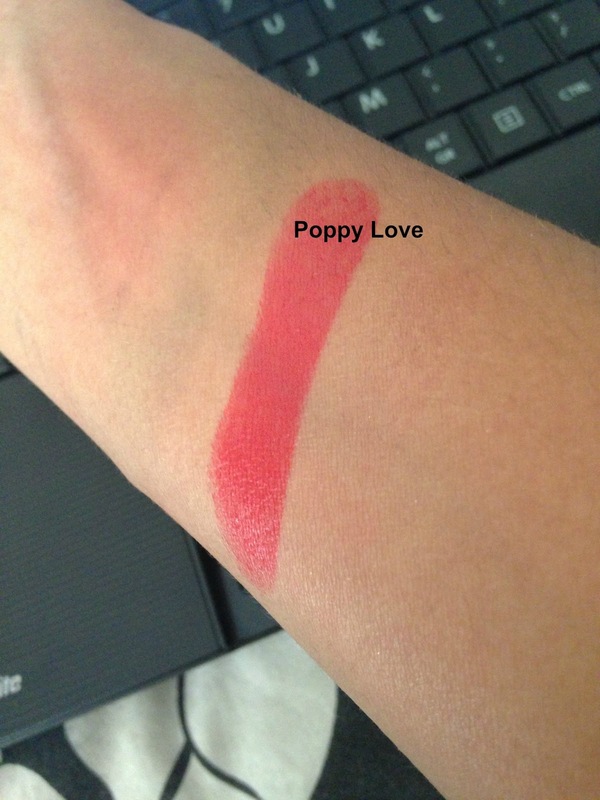 Poppy Love, how cute is that?! Its such a bright pop of red I thought of summer straight away! great for festivals and days out! When I first put it on my lips it gave me a real satin feel to it but dried matt which I loved and it doesn't crack! Bonus! As its a cheaper lipstick I really didn't think it was going to last that long but it lasted a good 4 hours! (yes I counted lol) I love this lipstick so much that the next time I ordered I got 2 more shades! I rave about quite a lot of products but this is one of my all time favourite products ever!! No exaggeration! I first got this liner thinking it was going to be like all the others but I thought id give it a chance and im so glad I did! 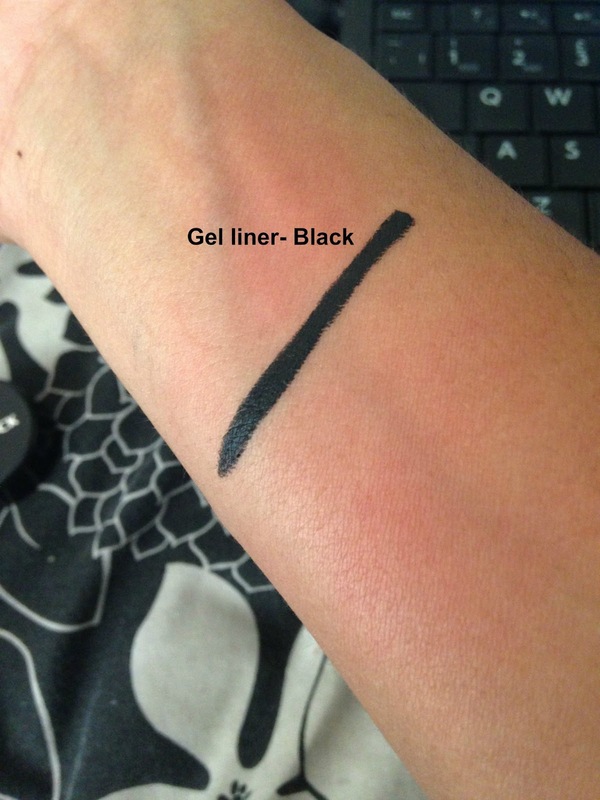 one of the first things that drew me to this product was that it was a gel liner acting in a pencil shape and its so easy to apply! When I put this on for the first time I didn't even need another coat, this product is so pigmented I couldn't believe it! And it lasts all day! I didn't even need to re-apply during the day, it magic! 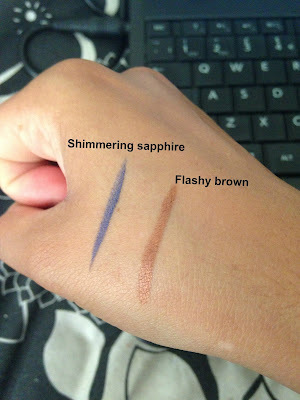 Last but not least are the colour gel liners. They come in deep glass pots that are so cute! I thought I needed some different coloured liners for my makeup kit and thought these were perfect! They both have a shimmer to them and last ages! When applying them, I noticed that they don't move for a few hours but I did also notice that the blue fades a little faster than the others but I still love this product and ill be buying the black pot soon enough!